Debilitating soreness, exhaustion, and restless sleep are often part of the training game, but they don't have to be your constant companions. These novel nutritional aids have been shown to help people weather the storm and get back in the game. An article on recovery? Aren't you overcomplicating it? If anything, we've been oversimplifying it. Your body is a network of multiple deeply interconnected systems, all of which get impacted to various degrees by heavy training. Recovering from this ordeal is about more than just not lifting. It's about giving your muscles and joints the space to heal and supercompensate, letting your nervous system calm down, and getting adequate rest. This rest is usually associated with sleep, but it also involves physical relaxation. There are supplements that can help you maximize both. We're going to break it down for you and introduce you to a few promising nutritional aids that can help make the most of your time outside the gym. With our help you can come back feeling fresh and ready to do it all over again. Ask most people what aspect of physical recovery can benefit the most from supplementation, and you'll get an answer about joint inflammation and pain. Delayed-onset muscle soreness (DOMS) is usually treated as something that "just is," and which goes away with time. Stroll down the aisle at a drug store, and you'll have this visually reinforced. There aren't any DOMS aids, but you'll see half an aisle dedicated to joint pain. But are these traditional choices the most effective ones? Perhaps not. 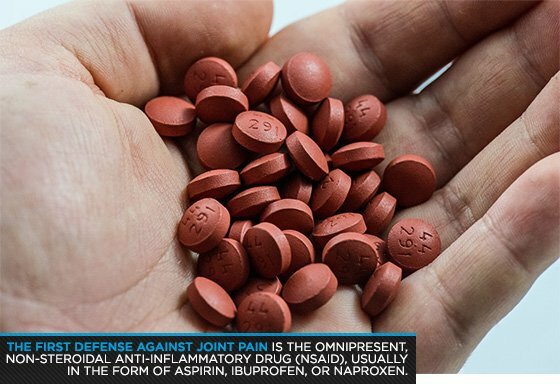 The most common first defense against joint pain is without a doubt the omnipresent non-steroidal anti-inflammatory drug (NSAID), usually in the form of aspirin, ibuprofen, or naproxen. While there's little doubt that these drugs work for reducing pain, a steady stream of evidence over the last decade has indicated that NSAIDs have negative effects on protein synthesis and muscle growth in young and middle-aged men. The same goes for those acetaminophen tablets many triathletes and other endurance athletes toss back like M&M's. What about the glucosamine bottles your grandparents buy by the flat at Costco? Glucosamine is most commonly used for knee pain, but there is a lack of evidence that it works in healthy people. The only evidence that it works is for those with osteoarthritis, and even then it is a small protective effect. There isn't a supplement that's proven to be better than NSAIDs for reducing joint pain during exercise, but curcumin, Boswellia serrata, and spirulina all look promising. It's not clear for now what effect, if any, they may have on muscle synthesis, but at least it's clear that they operate via different mechanisms than the COX enzymes targeted by NSAIDs. Curcumin, which is found in the Indian spice turmeric, has gotten a lot of press as a potential cancer fighter in recent years. However, it also has powerful anti-inflammatory qualities. A drawback to curcumin is that the human body absorbs it poorly, so it is most effective at high doses, such as 500 mg, or with piperine or black pepper extract to help increase absorption. Black pepper has been shown to increase the rate of curcumin absorption as much as 2,000 percent—the percentage is high because curcumin is so poorly absorbed without it—making it or some other type of absorption helper, or "adjuvant," almost mandatory for proper supplementation of curcumin. Boswellia serrata is another Indian import that shows promise in treating joint pain. Also known as Indian frankincense, it has been used in Ayurvedic medicine to treat arthritis for centuries. Today, it is a common ingredient—occasionally alongside glucosamine or curcumin—in joint pain-focused supplement blends. While most of the studies conducted on boswellia have been for people with osteoarthritis, the pain reduction has been stark enough—routinely in the range of 50-70 percent reduction of symptoms—to cause some people to question if it could carry over to healthy joints as well. And last, there's spirulina, a type of algae which has which you may have seen being sold as a greens supplement, or "superfood," in powder or pill form. It gets more press for being a complete protein and a source of beta-carotene, but spirulina has also demonstrated remarkable anti-inflammatory effects in animals. One study also suggested that regular sprirulina resulted in an increase in power output during leg extensions, so there's the chance that it could help both during and after training. You may think that "neural recovery" only applies to people struggling to come back from a stroke or some other neurological affliction. However, the stress of intense training leaves a mark on your nervous system as well. Supplements can help to prevent the feeling of "hitting the wall" that sometimes occurs before a workout even starts. This usually gets chalked up to having "a bad day," but it is also associated with a prolonged physical stress response after a workout. The class of compounds, known as "adaptogens," earned its name by helping subjects adapt to a biochemical stress response. Adaptogens reduce or prevent the responses to stress such as cortisol release, depression or anxiety, and stomach ulceration. They can also promote energy in people who are fatigued or give a mental boost to people who feel like they are walking around in a fog. These supplements normally only help your workouts during periods of stress and fatigue; they likely won't increase your performance beyond your current baseline. The two adaptogens with the most human evidence are Panax ginseng (Note: There is more than one kind of ginseng. Panax ginseng refers to a specific plant.) and Rhodiola rosea. Panax ginseng is the most researched of the ginseng plants and has been shown in repeated clinical trials to improve subjective well-being and cognition. Rhodiola rosea, an arctic herb that also goes by the name of "rose root," has similarly consistently shown to reduce fatigue in stressful situations. It's worth noting, however, that dosage is important and different when it comes to these substances. Panax ginseng can be bioactive in doses as low as 40 mg—a dosage you might see in a multivitamin—and its cognitive benefits seemingly increase on up to 400 mg. On the other hand, when it comes to rhodiola such a low dose seems to be ineffective, and an excessive dose can likewise negate its efficacy; the sweet spot seems to be in the 200-600 mg range of an extract containing 1 percent salidroside and 3 percent rosavins. That granted, the science is solid on both panax ginseng and rhodiola rosea when taken properly. Personally, we've found that when cycling off of other stimulants like caffeine, rhodiola rosea in particular can make the process feel a lot easier on the body (i.e., caffeine-withdrawal headaches). Finally, L-tyrosine also appears to be effective in reducing the stress response. 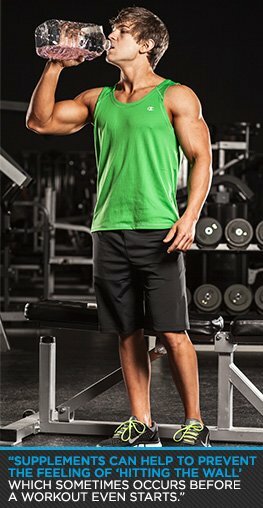 L-tyrosine is somewhat unique as it seems to work pre-stress, whereas panax ginseng and rhodiola rosea are thought to be most effective when introduced after the stress has commenced. They may all work regardless of timing, but only L-tyrosine has ample evidence to support its role if taken before exercise. When it comes to non-pharmaceutical sleep support, novel options are surprisingly scarce, and the most prominent choices are familiar names like valerian root and melatonin. However, recent evidence suggests that valerian may actually no better than placebo. Past research suggested a distinct benefit, but more recent, better-controlled evidence suggests no benefits aside from possibly in the worst-sleeping subjects. Melatonin, on the other hand, still deserves to start off the conversation. This is in part because it is so popular and so effective, but also because its effectiveness is often misunderstood. 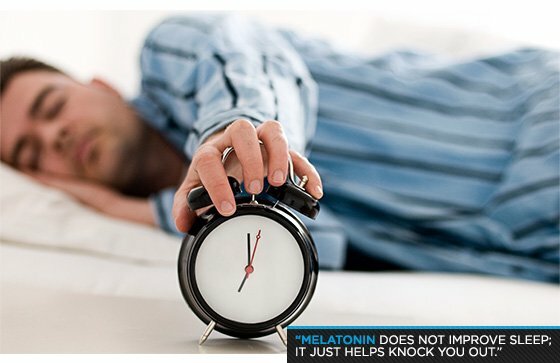 So let's be clear: Melatonin does not improve sleep; it just helps knock you out. For those suffering from insomnia, this can still make a world of difference. However, it should be taken at the lowest effective dose, because higher doses than needed are associated with insomnia, oddly enough. For first-time buyers, 5 mg capsules are probably the most effective dosage, taking more if needed. Another promising option that may be just over the horizon is oleamide, which is an amide of the fatty acid oleic acid—named after olive oil—combined with an amide group. This molecule appears to positively modulate many receptor classes involved in sleep; it builds up in cerebrospinal fluid during periods of sleep deprivation, and when injected, it induces sleep. Pending future research, it may be an interesting sister molecule to melatonin as it follows similar motifs. Some recent research also points to aromatherapy as potentially beneficial in sleep therapy, and in particular, the aromas of lavender, rose, and lemon balm. This is exciting because aromatherapy allows for scents to be continuously administered during all stages of sleep. To see how aromatherapy works for you, simply place an aromatherapy machine at your bedside or put a few drops of lavender on a nearby object—but preferably not on your pillow, since lavender is linked to some skin outbreaks and topical allergies. It is a bit difficult to properly dose aromatherapy, and even most studies don't offer much help on this parameter. This leaves it up to you, so just experiment until you find the right level of a perceptible and pleasant, but not overpowering, aroma. Lavender may also work orally, since it shows promise at 80 mg or so for generalized anxiety disorder. However, its effectiveness orally for sleep has not yet been demonstrated. On the other hand, while the research for aromatherapy is not yet conclusive, the bioactive called linalool has been detected in the plasma of rats following inhalation of lavender. And there is a demonstrable mechanism underlying the aromatherapy process, making this a novel avenue of future research.